New mesothelioma treatments offer hope to mesothelioma patients and their families. But how do these new treatments emerge? How do they come into medically accepted use so that your doctors know to provide them for you? One of the most important steps a treatment must go through on the way from transforming from an isolated laboratory experiment to an accepted treatment prescribed for mesothelioma is a clinical trial. A clinical trial is just that – a trial. But instead of being found innocent or guilty, a treatment undergoes a clinical trial so it can be proven to be effective or ineffective for treating a specific condition. Sometimes also called a clinical study, a clinical trial really is a very big science experiment. And one that most importantly is done on human volunteers who are called the study subjects. In the preliminary lab phase, the treatment will likely have been tested on lab rodents. But that is just to see whether the experimental treatment shows enough promise to launch an expensive study on humans. To receive the necessary federal government and medical authority approvals, a treatment must be proved safe and effective in humans. How many people are enrolled as subjects in a clinical trial? It depends on the design of the study and sometimes how many subjects the scientific researchers can afford or how many they can find. If I went to a college campus to seek paid volunteers for a clinical study on pizza, I would have no trouble recruiting as many as I needed. 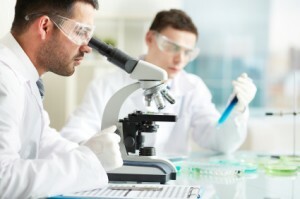 But for a mesothelioma treatment study, I would have to search harder to find mesothelioma patients to participate; especially if the clinical trial requires people to be at a specific stage of the disease. When it comes to clinical trials though, the more subjects you have, the more likely your results are going to be considered as accurate. The most highly regarded clinical trials involve studies that are randomized, double blind and placebo-controlled. A placebo is a “sugar pill,” a fake inactive treatment that looks just like the real treatment. It is given to one group of subjects in a clinical trial to rule out a placebo effect. That’s when a patient feels better just because they are receiving treatment even though they’re getting the sugar pill. The real treatment being tested needs to outperform the placebo in order to pass the clinical trial and move on to the next level. Randomized – Each study subject is randomly assigned to receive either the study treatment or a placebo. Blind – The subjects involved in the study do not know which study treatment they receive. If the study is double-blind, the researchers also do not know which treatment is being given to any given subject. This ‘blinding’ is to prevent biases. Placebo-controlled – The use of a placebo (fake treatment) allows the researchers to isolate the effect of the study treatment from the placebo effect. Very soon Mesothelioma Circle is going to launch a new feature that will give you the latest information on how, when and where you can volunteer to participate in clinical trials testing new experimental mesothelioma treatments. We are excited about giving you the knowledge to do something possibly for your own good and for the good of all those suffering from mesothelioma now and in the future.